I lost your email and your phone has been shut off. I tried BROing you in Dinesh’s Cousin’s app but have not been BROed back. 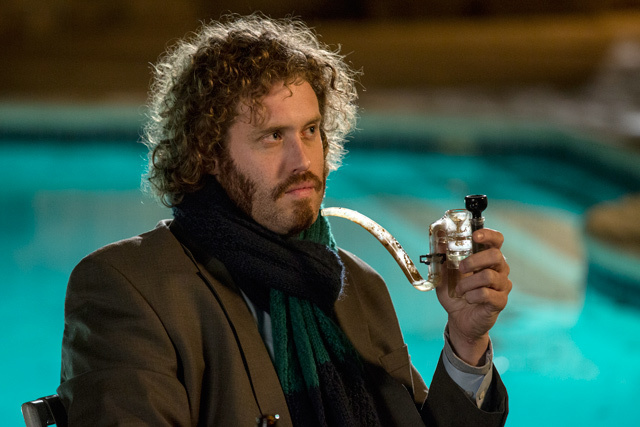 If you’re reading this (which we all know you are), I would like to offer you your former Pied Piper title and position at http://www.conexticon.com. If this is of interest to you, have your people contact my people. I am willing to offer ownership shares and unlimited coconut water. booooooo Blachman did not suffer enough, sorcerer of douchebaggery! I just sold my stake in LinkedIn. It went — well. Monica will visit me on my island for a deal proposal? Hope it won’t be — annoying. Where did you get that pipe from? This — person — sold his shares for some — 700,000 — dolaarrs? Congrats on the new role Erlich! I’ve always said you’re like an average pitcher on LSD. Keep throwing strikes! Well Bachman, now that it seems you’ll once again be putting a few coins in your pocket, you might also take regard of that nasty looking pipe of yours too, and become a tidy piper…. I want to see a copy of Erlichs tell all. This is awesome! You guys need to put the compression software into manufacturing systems to speed up machines loading times and decrease used memory. When will the Jackets be available? Need some Pied Piper swag! Great job on retaining mr. Bachman, and excellent job on your compression ratings!